When a dog’s gotta chew, a dog’s gotta chew. But the dangers that rawhide poses to your dog range anywhere from toxicity to potential threat of choking, so you may want to cross that option off your list. Instead, here are seven dog-friendly and totally tasty alternatives sure to satisfy that chewy streak in your eager pooch. Pet Expertise cites that antlers are a “natural, healthy, odor-free and long-lasting chew toy,” so what’s not to love? For more information and precautionary steps for aggressive chewers, check out their super detailed information page here. You can buy anywhere from an extra small chew (.5 to 2 oz for $6.75) to a gigantic one (14 oz to 1+ pound for $39.75) on Amazon. This rubber toy comes in small, medium, and large, so it’s a toy for dogs of all shapes and sizes. When used as a fetch toy, it’s a foolproof way to get your buddy’s chompers nice and clean. The ridges in this toy’s design reduces plaque, a huge contributor to dental decay in dogs. A medium dental stick will set you back $5.99 at Doctors Foster and Smith. A little culture never hurt anyone! 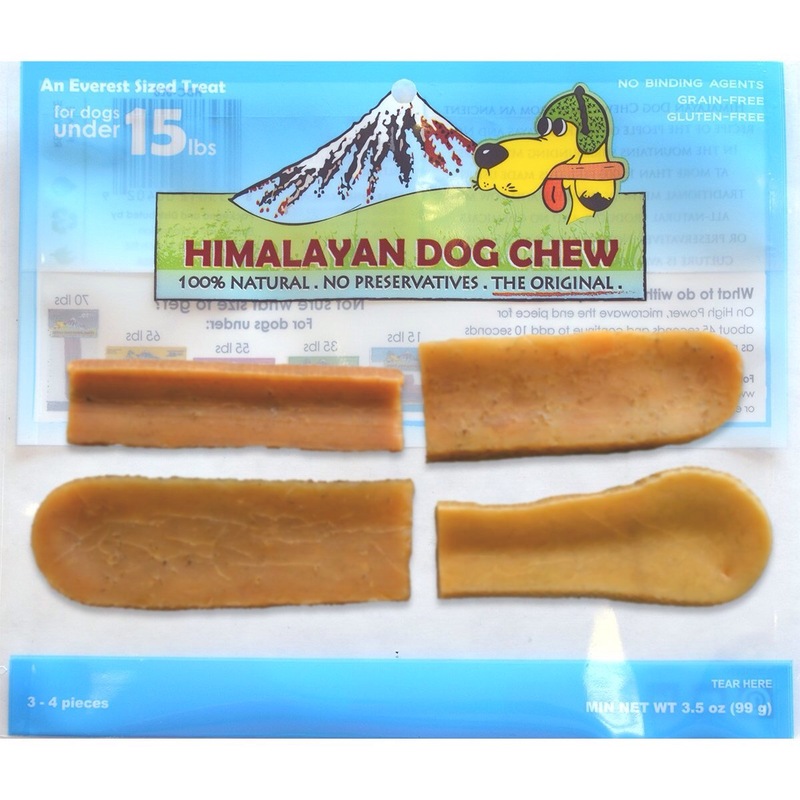 Nab your four-legged friend a Himalayan dog chew (available on Amazon for $8.60). Made of yak, cow milk, salt, and lime juice, this chew has no preservatives and is guaranteed to keep your dog busy for the afternoon. What’s up doc? This chew is cheap, healthy, and you might just already have one in your crisper. Not all dogs will fancy this chew, but it’s worth a shot right? If all else fails, throw in some DIY dog food just for Fido. 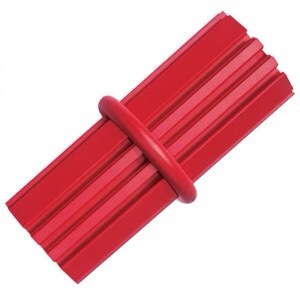 For the “powerful chewers” out there, Nylabone makes a “virtually indestructible” chew for your determined sidekick. This chew comes in three different styles: turkey leg, beef, and knot, and is made with nylon and chicken flavor. 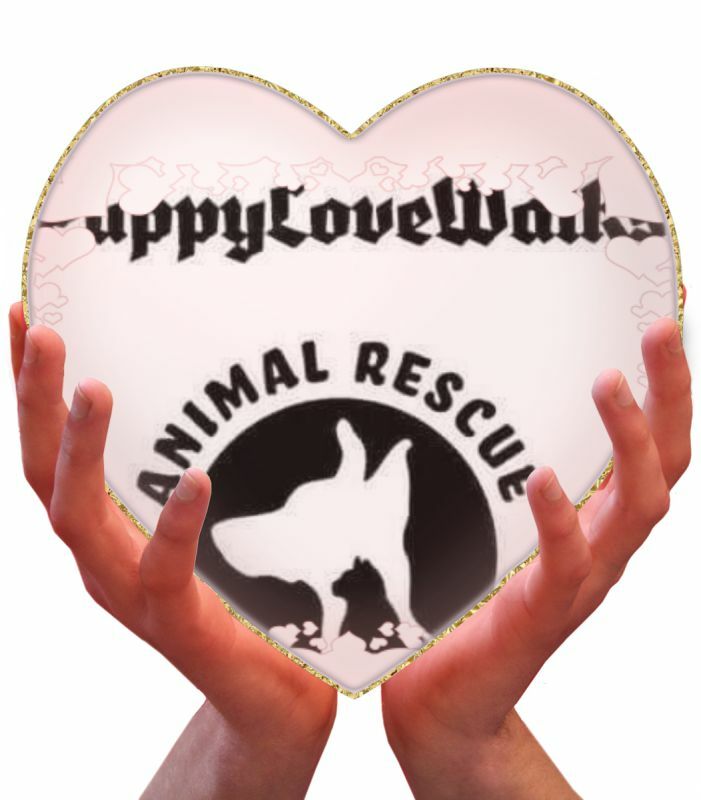 ValuePetSupplies sells these chews for $12.08. They just might put your pooch in a festive, Ren Faire kinda mood. 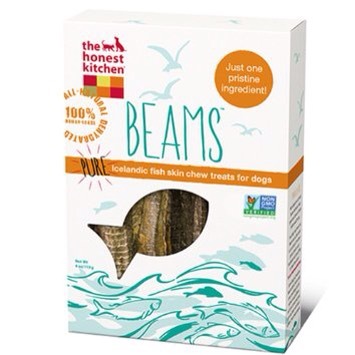 Beams Dog Treats are made with Icelandic catfish skin and will tantalize your dog’s discerning palette, no matter how picky. A good source of lean protein and omega 3 fatty acids, we’re all in on this chew. You can grab a box of smalls ($9.99) or talls ($14.99) at The Honest Kitchen. All in all, not a bad menu to choose from right? With so many chewy options, who needs rawhides anyway?